November is the month we welcome most all of the Northerners back to Venice to enjoy our nice climate during the Christmas and Holiday season. With these cooler temperatures we would like to cover how humidity is affected inside the home. With Florida being a semi-tropical region, there are days typically in Winter and Spring that it is just too warm to keep the windows open for natural ventilation, and we find it necessary to turn on the Air Conditioner. During these times there is very little demand for cooling and most of the comfort comes from removing moisture from the air. During the summer months, warmer temperatures outside cause the unit to run longer to cool and dehumidify your house, but during the winter the unit does not run long enough. Many factors affect how much humidity is removed. With newer homes there is less natural ventilation due to their energy-efficiency and that tends to increase the problem. The cooler temperature makes it harder for the air conditioner to lower the relative humidity. Activities that we do in our everyday routines such as showering, cooking, respiration, or any other factors that introduces moisture will raise the humidity in the home, this makes us feel uncomfortable. This is especially true during the mornings as we get ready for the day and the cooling demand is at it’s lowest. We have convenient options to lower the humidity in your home. 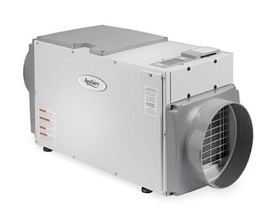 Some examples are by installing Mechanical Dehumidifiers and Fresh Air Ventilators or certain Thermostats that have circulation modes, but with the cost of these upgrades averaging about $3,200 – $8,000 most people opt for a less elaborate solution such as a self contained dehumidifier that can be purchased at a big box store. We find that the easiest solution is to just bump the thermostat a few degrees cooler than where you normally set it. While taking a shower or bath, keep the door closed and run the exhaust fan during your shower and for a few minutes afterwards. 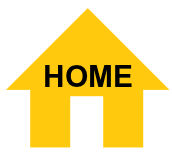 If it is cool and dry outside open a window to ventilate the home for a short while. Limit the kitchen activities; cooking pasta, steaming, or boiling water, adds to the moisture in the home. Run exhaust fan while cooking and for a few minutes after the cooking is finished. Limit plants, aquariums, and water features within the home. We hope this will answer some of your questions and concerns. More than likely if you feel your central cooling system may not be operating properly it comes down to the fact that the Air Conditioner is not running long enough to remove this moisture vapor in your home. 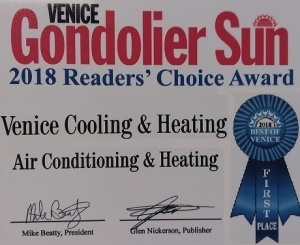 If you still feel uncertain about the operation of your unit just give Venice Cooling & Heating a call and we will be glad to help.